Your house should be the safest place for you and your family, and having the best quality locks and alarm system installed in your home is important. Let the residential locksmith provide you with their quality services and get your home safe and secured, they offer 24/7 emergency locksmith services that you can trust, you can call whenever you need. If you are going to install locks for your house, professional lock picking is available, they will help you pick the right and quality locks for your home, as well as high-grade alarm system to strengthen your house’s security. They offer high security locks installation to ensure that the locks are durable, and can’t be easily manipulated by intruders. And if you want to monitor your house’s perimeter for security awareness, a residential locksmith also offers alarm system installation and repair, CCTV installation and Intercom system installations, which can be beneficial in your home, these will give extra security inside and outside your house. You can also have an access control system, to allow you and your household a full control in your house’s security. Many of these have been installed to thousands of houses, because of the reliability and convenience it brings to their homes and families, not only that the products are reliable, but also the technicians who will install these are 100% trustworthy and have extensive knowledge in their field. You can also have your gates and garage doors change locks to a more resilient and efficient one, garage door locks installation is also offered to bring security to your garage, especially that garages are one of the vulnerable places in our homes, because it can be easily trespassed. 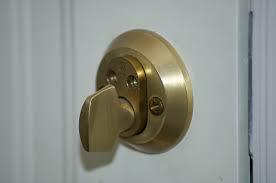 Increase the security with the help of the expert locksmiths. Being locked out of our house is sure aggravating, and never hesitate to call the residential locksmith to provide you unique lockout solutions, they can help you when you are being locked out of the house or even from your car and get you inside safely, without breaking or destroying the locks that have been installed. They will expertly open your locked door for you, re-keying service can also be provided, and cabinet and window locks repair is also available. Residential locksmiths can also be hired by companies, and businesses to have the same quality security assistance in their firm and there are thousands of trustworthy technicians who can deliver you these services. Get the best residential locksmith experts in Michigan by calling Great Lakes Security Hardware at 888-855-6257.